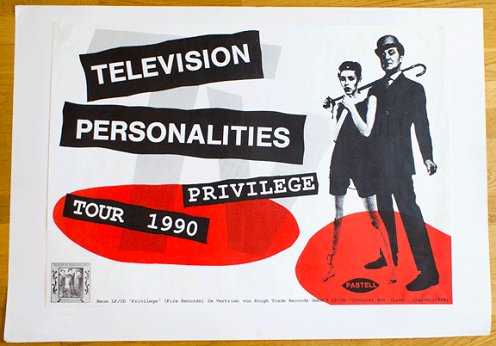 To say that the Television Personalities are one of my favourite bands would be a huge understatement. Who am I kidding; they have had a significant impact on my life. They have made me smile, made me wonder, made me sad, made me angry, made me appreciate life and inspired me and influenced my music collection in a significant way. I’m often overheard saying that everything somehow ties back to the Television Personalities (in seven degrees of separation or many times in only two or three). They are a band whose importance is now only starting to be recognized, appreciated. maybe it was a former TVP member who went on to join another band like Mark Shepherd as Empire who seems to have played in most of my favourite bands from that era (like Nikki Sudden, The Barracudas, Robyn Hitchcock, not to mention becoming a famous TV and film star), or Dave Musker with the Jasmine Minks, or Mark Flunder, who later went on to the McTells and Sportique, or Jowe Head (ex-Swell Maps, Soundtracks & Head, The Palookas) who had an extensive career before and after the TVP’s releasing recordings on the Topplers label and many others; or maybe an ex-TVP member who started their own label, like Edward Ball with ArtPop! Or Joe Foster, who started many labels (Kaleidoscope Sound, RevOla, Poppydisc) and educated you in the sounds of the 60s as well as producing almost every band you can think of. Louder Than War quoted Alan as saying: “Dan Treacy started it … and without Dan there would be no Creation, no Stone Roses and by extension a whole raft of British music.” Just to emphasize this point, many of my favourite bands were on Creation like Teenage Fanclub, BMX Bandits, Jasmine Minks, Bodines, Phil Wilson, Ride, Slowdive, MBV, Biff Bang Pow, Weather Prophets, Nikki Sudden, Felt, Dave Kusworth, Sneetches, Boo Radleys, Apple Boutique and many more and that’s not even mentioning Poptones Records (Cosmic Rough Riders, January, Captain Soul, Technique etc.). So you can quickly see how the tentacles of the Television Personalities spread and continue to spread. 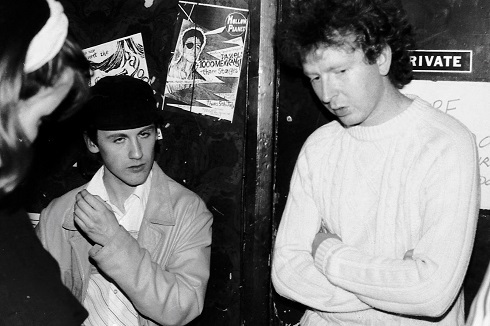 As Ava Dial once said: “Formed by songwriting wonder Dan Treacy in 1977, The Television Personalities were quickly embraced by BBC mouthpiece John Peel, and proceeded to leave an indelible mark on the London music scene with a sound that stretched from punk to soul, mod to psychedelia. 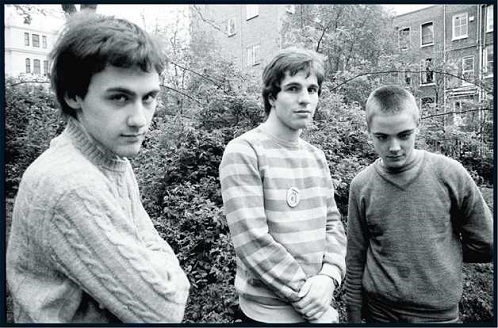 Though TVP earned some attention with songs like Part Time Punks and I Know Where Syd Barrett Lives, legions of rare gems preceded and followed those mix tape faves.” Television Personalities were a true visionary band when it came to musical styles, mixing Mod, Psychedelic, Folk, Soul and Freakbeat with true 60s Pop sensibility. 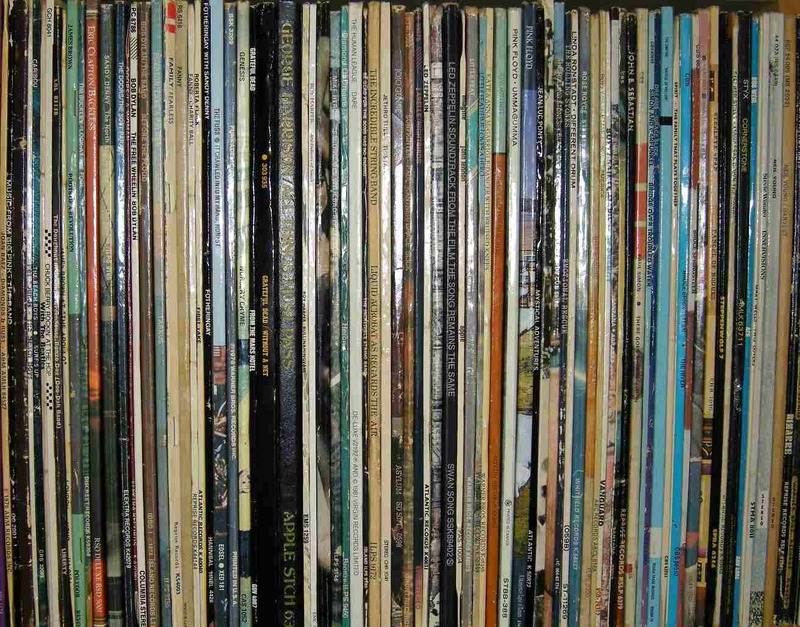 They inspired many and their influence can still be heard in records being released today. My list above tries to capture the essence of some of those rare gems and whittling a list down to only 10 songs with the Television Personalities is like asking the impossible, as favourites change from day to day and there are plenty of great songs to choose from. I’ve chosen some of the obvious ones like Part Time Punks and … Syd Barrett … as those songs captured the Jonathan Richman spirit that Dan had (I’m a big fan of Jonathan) and they were at the same time a great social commentary on our fascination with musical stars and new genres. Part Time Punks was also one of the first songs I heard from them (on Rough Trade’s Wanna Buy A Bridge compilation) and how could you not fall in love with a song that mocked everything about being a punk and namedropping a Swell Maps song. I also had to include some of my favourite love songs like Someone To Share My Life With and If I Could Write Poetry (with The Prettiest Girl as a runner up) as where would life be without a good love song to include on a mix tape. Three Wishes, Magnificent Dreams and The Dream Inspires are songs where it’s hard to pinpoint just what it is that make them three of the best songs ever written, but they capture the magic of the perfect psych pop masterpiece and who but Dan would be smart enough to wish for “three more” as the last of his three wishes. 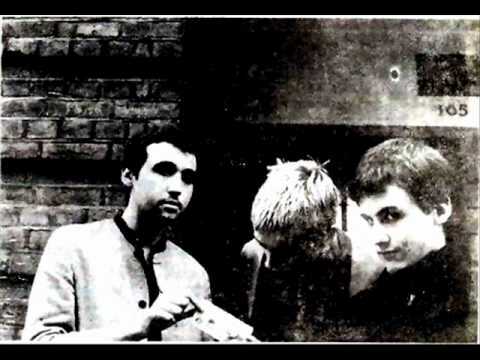 I still recall hearing Magnificent Dreams on the Rough Trade C81 cassette (which was also one of the first few songs I heard by them) for the first time and it sent shivers down my back and still does the same today. As for The Dream Inspires, who wouldn’t want a castle in the sky and be able to make all your dreams come true – it’s just the perfect song and one that I hope more bands will discover so that we can get a few more covers of this beautiful song for our tributes. The song, Sad Mona Lisa, for me captures Dan’s ability to be the storyteller of the down and out, and brings to mind people like Ray Davies and Robyn Hitchcock who displayed the unique ability to capture the feelings of life and express them beautifully in songs with keen observation techniques. The Day The Dolphins Leave The Sea shows Dan pondering some of our environmental issues, as he also does with war on A Sense Of Belonging and the almost comical but tragic pursuit of weapons in How I Learned To Love The Bomb. More information on The Beautiful Music tribute series can be found here. And more information on the Television Personalities can be found at this excellent fansite. 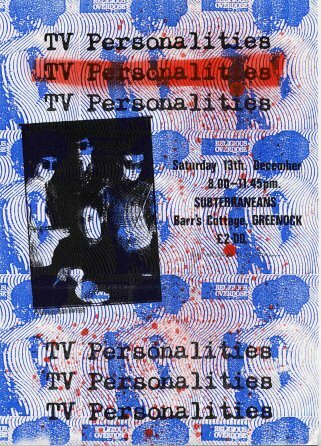 Television Personalities are the new Velvet Underground, if not the Beatles for an indie generation. The Beautiful Music (TBM) is a Canadian record label started by Wally Salem in 2002, specializing in indie pop, and inventing Post Mod, and Janglewave music genres. 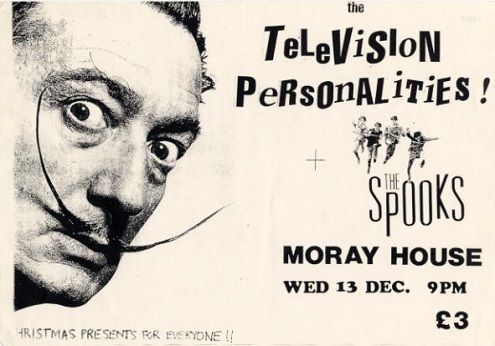 Acts include Skytone, Dot Dash, Roy Moller, The Yellow Melodies … TBM has gained popularity since 2004 as the label that is releasing a ten volume tribute series to the Television Personalities. Wally, a great piece which brilliantly captures the unique qualities which make TVP such a great band. Might have to have ‘King and Country’, “Salvador Dali’s Garden Party’ and “Smashing Time’ in my premier list, though, but very hard to know what to demote… And, of course, there are very few songwriters who can tread the line between wit, whimsy and heartbreaking in the way that Dan can – as you say, Ray Davies and Jonathan Richman are the only other two who come immediately to mind. The right combination of passion and requisite connect-the-dots (but of course!) That’s a great runners-up list too. I wouldn’t know where to start but I’m glad to see Strangely Beautiful on there. Great piece! Would also add that ‘Honey For The Bears’ is on my list of the best of the later TVP songs. And ‘Silly Girl’ both contains some of my favourite lines by Dan (“You ran away on a train to Crewe/ such a silly thing to do’) and has become our cat’s theme tune.